Craft believes a great communication plan can bring everything together. Making sure the right brief is written, that media and creative are aligned around a real understanding of consumer behavior, having absolute certainty around how a brand behaves, and an intrinsic knowledge of media channels – what they do, how they work and the role they play in consumers lives – is the path to brilliant work and outstanding results. Craft founders are Sally Weavers & Jen Smith. Jen Smith has over 19 years’ experience in media agencies in London and globally, including Mindshare, PHD, Maxus and Wavemaker. She has held a range of leadership roles including head of Planning and Strategy and Global Creative Director. Jen is a passionate advocate for women in business. She helped develop Maxus’ award-winning Walk The Talk female leadership programme and also runs a women’s network event, Beat Girls. During her career, she has been nominated for and won various Media Week and Campaign awards and in December 2014, 2015 & 2016 was named one of Campaign’s Top 10 Planners in the UK. She has worked on some amazing clients including: Kellogg’s, Abbey, Tango, Pepsi, The Guardian, Adidas, Cadbury, Mondelez, Sainsbury’s, L’Oreal, Fiat, Barclays, BT, British Airways, Triumph & Unilever. 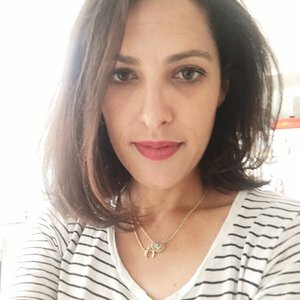 She regularly judges at industry events including Cannes Media Lions 2017, Campaign & Media Week awards & YouTube Effectiveness. She is a member of the APG Committee and Effies committee writes for industry titles as well as Huffington Post.